This Classica garage door from Amarr features a glazed top section along with some decorative hardware. The garage door was painted to match the home. Many different panel designs are available for the Classica line, as well as color choices. This Classica garage door from Amarr features a glazed top section along with some decorative hardware. 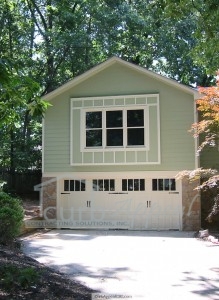 We also install other types of garage doors in the Lawrenceville and metro Atlanta areas. 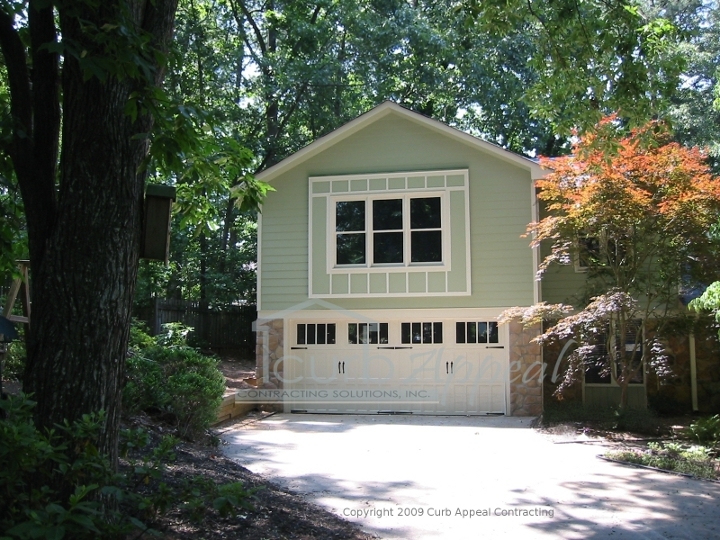 More photos of garage doors and our other home improvement projects can be found on our Gallery page.